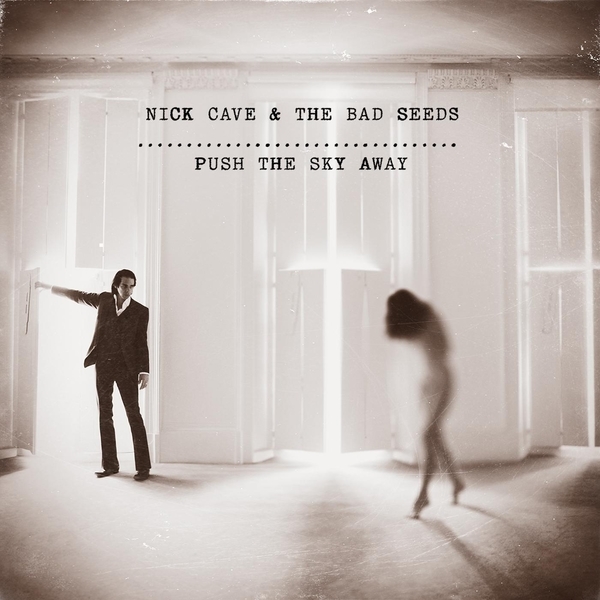 "At the heart of Push the Sky Away is a naturalism and warmth that makes it the most subtly beautiful of all the Bad Seeds albums. The contemporary settings of myths, and the cultural references that have time-stamped Nick's songs of the twenty-first century mist lightly through details drawn from the life he observed around his seaside home, through the tall windows on the album's mysterious and ambiguous cover. The songs on this album took form in a modest notebook with shellac covers over the course of almost a year. The notebook is a treasured analogue artefact but the internet is equally important to Nick: Googling curiosities, being entranced by exotic Wikipedia entries "whether they're true or not". These songs convey how on the internet profoundly significant events, momentary fads and mystically-tinged absurdities sit side-by-side and question how we might recognise and assign weight to what's genuinely important. The album has a clarity and sweet strangeness that's built upon the refusal to accept limitations, whether they be the traditional uses and sounds of musical instruments, lyric styles, or diminished spiritual horizons. It's not always apparent what instruments the band is playing: they may be traditional musical instruments but other sounds are clearly generated by objects unrelated to musical instruments. What's being created is a collective musical language that's rich and complex. "Well, if I were to use that threadbare metaphor of albums being like children, then Push The Sky Away is the ghost-baby in the incubator and Warren's loops are its tiny, trembling heart-beat."